Tell us your name and a bit about your family? When did you become a Mum and to whom? I’m Kate Orson, and I’m married with one daughter, she’s four years old. Peaceful, connected parenting solutions for all your family challenges. When did you become a Mumpreneur and what inspired you? Before my daughter was born I read about a book about how babies cry not just to get their needs met, but also to release overstimulation, or accumulated stress and emotional upset. For children, (and adults too! ), crying is a healing process, when there is a loving adult to listen. There are actually stress hormones contained in tears. This really resonated with me. I’d gone through a difficult period of my life when I’d done a lot of crying, and I’d always had the sense that having a good cry had helped me process my feelings and recover. I was fascinated how we could help our children heal from the beginning of their lives so they wouldn’t grow up carrying a heavy weight of emotional baggage. I was surprised that few parents seemed to know about this. We are more fixated on avoiding upsets in our children rather than really listening. I trained with an organisation called Hand in Hand parenting, and learnt more about children’s emotions, and how listening to them can help with behaviour challenges. I also learnt some powerful tools, to help dealing with children’s strong emotions, a little bit less challenging! I had a really strong desire to share ’parenting’s best kept secret’ with as many parents as possible. 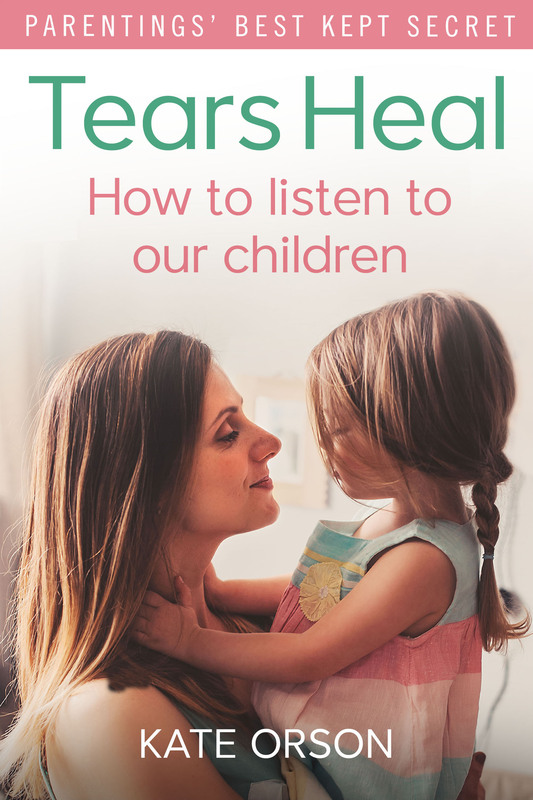 After I qualified I wrote parenting articles, for natural parenting magazines like The Green Parent, and Juno, and then I started writing a book Tears Heal: How To LIsten to our children which will be published later this year. I also slowly built up my business offering workshops and consultations. My start-up didn’t need much funding. I have a very simple website, and my expenses are minimal. I just publicise my work through Facebook, my blog, and the main Hand in Hand parenting organisation. It’s growing very organicaly. My daughter has always been a night-owl so we fall asleep together around 9/9.30. This means I can wake up early and get a couple of hours then, as I function best in the mornings. I also work when she’s in playgroup, and in the evenings and weekends. My one big advantage is my husband’s works as a teacher, so the long holidays are my working time. I finished writing my book during our summer holidays last year. In the morning, I’ll often write a blog, work on an article, or my next book. Then most of the time during the day I’m with my daughter. Sometimes before going out to meet friends, or to the park, we’ll snuggle up and she’ll watch TV while I do a bit of social media; responding to blog comments, or posting on Twitter, or Facebook. My one challenge at the moment is I’d like to be more disciplined with the social media side, and do it in a chunk of time in the evening rather than scattered throughout the day. It can be really distracting. In the evening I often have Skype consultations, or online classes, and a bit more social media. Finding the time has been a big challenge. If I go to bed late, or my daughter wakes up early, then I lose that time in the morning. I’ve never been good at writing in the evenings. After dinnner I’m pretty useless. When I was writing my book I would meet my husband near where he works and leave my daughter with him so I could go to a coffee shop and work while my brain could still function. I’ve also done babysitting swaps with friends, who have children the same age as my daughter. That’s been nice because it’s a recipricol arrangement and it’s free! What’s the best thing about being Mumpreneur? Doing somthing I’m completely passionate about. I would probably do this work for free anyway, so getting paid is a bonus! I’d like to keep writing books as I have a never ending stream of ideas! I’d also like to give workshops more widely. For so long I’ve focused the majority of attention on my writing about parenting. Now I’d like to get out there and meet parents, and share the ideas in person.